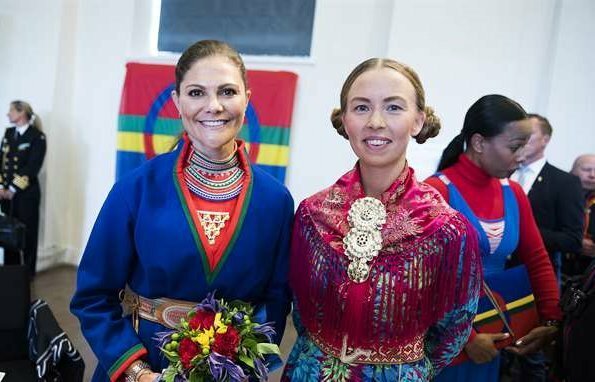 Crown Princess Victoria of Sweden attended the ceremonial opening of the sixth session of the Sami Parliament at Kiruna Town Hall in Östersund on 30th August. 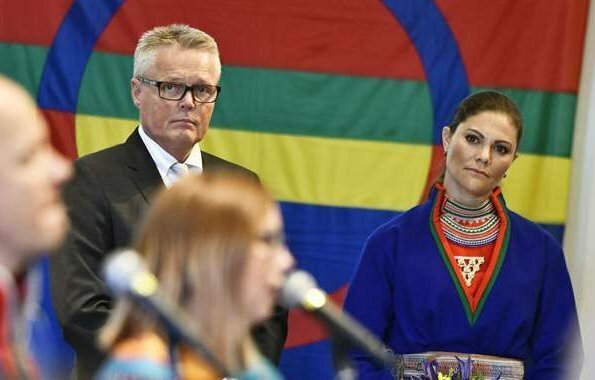 The Sami Parliament is the representative body for people of Sami heritage in Sweden. It acts as an institution of cultural autonomy for the indigenous Sami people. 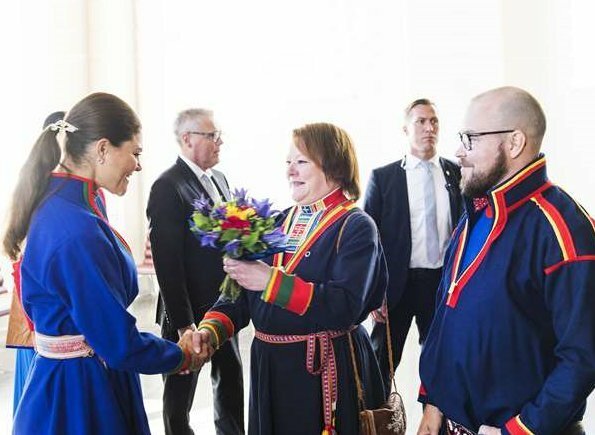 She wears a classic Sami costume and it is incredible to see her in this outfit. 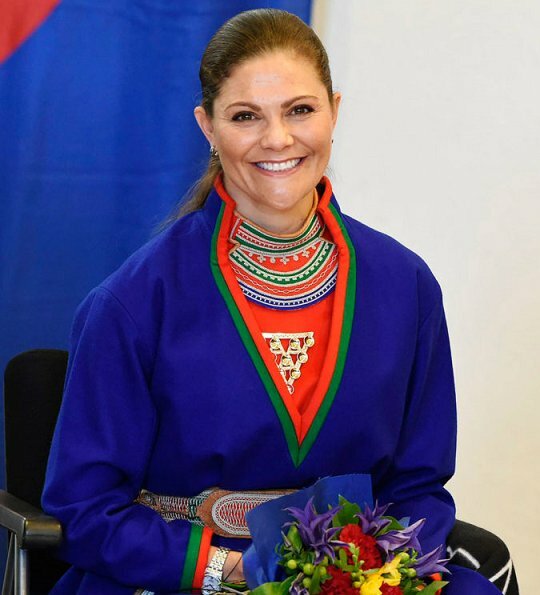 The Sami is an exposed minority group and it is a very good acknowledge that the Crown Princess chooses to wear these clothes. I'm sure its a native costume for that region. 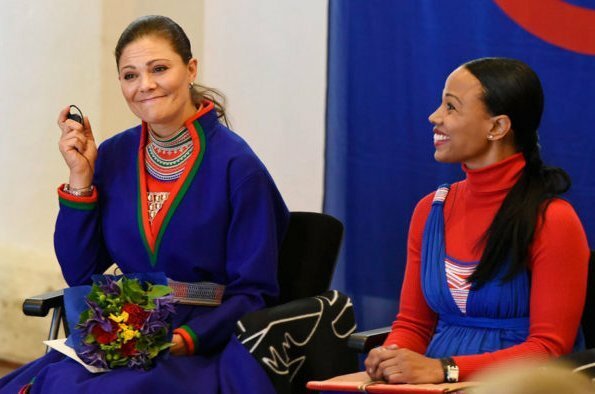 Love that she has got an authentic Sami costume! Beautiful! 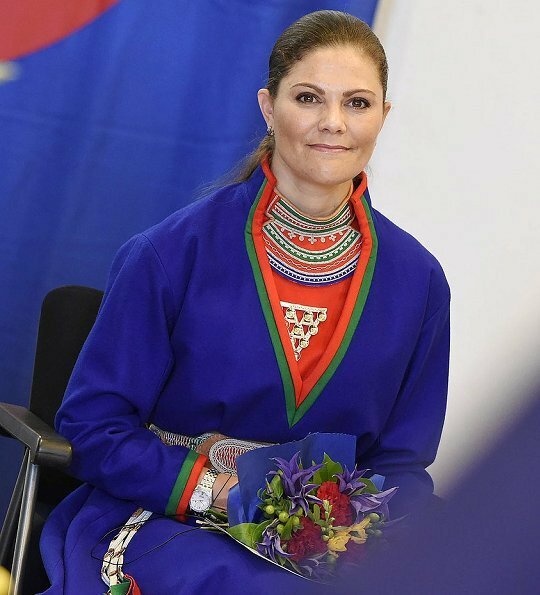 I like the traditional dress but know nothing about the Sami culture. 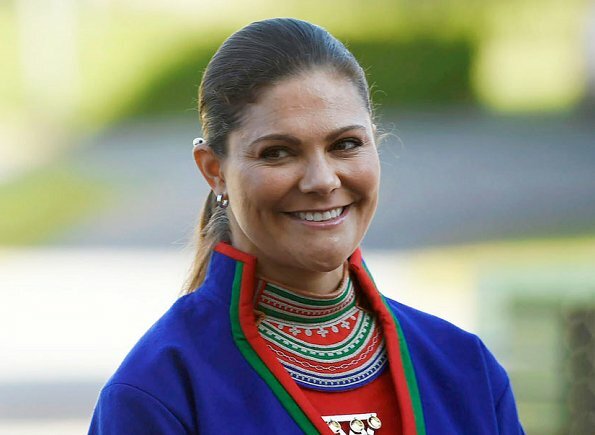 I don´t remember ever seen her wear Sami costume before, but it is nice to have it here. I think she looks lovely. It's traditional costume and the colours suit her very nicely. She looks perfect in those colorful clothes which her dark eyes and hair complement. The Sami or Lapp reindeer-herding culture is nomadic across Norway, Sweden and Finland. 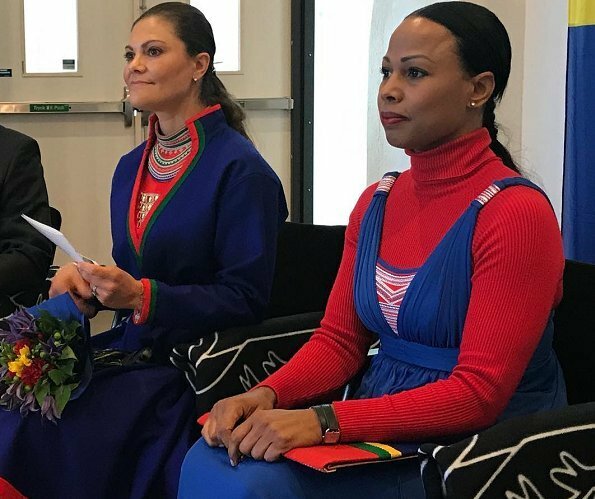 Those bright colors remind me of the clothing worn when the Danish Crown Prince family visited Greenland a couple of years ago. It is nice to see emphasis on life in the north (says this Scandinavian Minnesota Old Lady). I love these clothes on Victoria. Her strong personality and features are suited to the bold tones of the traditional outfit. Great and inspiring choice. Kudos for Victoria!! How enriching to see a cultural salute and some history. She looks beautiful and the fashion and style is well done, a gorgeous ensemble.